Compact CNC saddle machines create precision profiles in just minutes on pipes from 1.5" to 12" in diameter. Produce perfect miter and saddle cuts with the easy-to-use Mathey Dearman Contour Cutting Attachment. 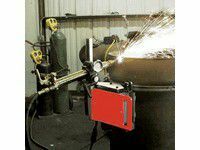 Mathey Dearman professional grade 1-3/8" diameter machine torch, with or without torch rack. 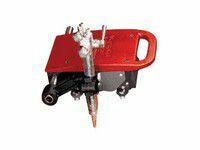 Designed for critical pipe-cutting applications with models available for pipe sizes 1.5"-48" in diameter.